If you need proof that Australia really is the land of innovation, here it is. Britax today launched the world’s first electronic braking pram, developed right here in Australia, and it’s a game changer for new parents everywhere. Yes, that’s right – an electronic brake stroller. Put simply, it means no more runaway prams. Ever. As a mum, I have been waiting for a product like this since my son was born and I first tried to manoeuvre the pram down our very steep driveway. The Britax e-brake stroller, developed in Australia by Britax Childcare, the company renowned for their Safe-n-Sound products, uses a touch sensitive braking system that automatically locks into place as soon as your hand is removed from the pram. So if you happen to let go of the pram because you drop your keys, you spill your coffee, you slip in the rain, or you just get distracted, the e-brake system locks into place right away to protect your precious cargo. No more distractions, no more pram accidents. It’s no wonder Britax proudly claim the e-brake to be Australia’s safest stroller. Britax has made child safety its number one priority but you can expect a number of other incredible features from this stroller as well. The pram comes equipped with everything you need for your daily outings in a high-tech world, including an integrated LCD screen which displays speed, distance, calories burned and current temperature. Impressive right? It also comes with a rechargeable battery to charge your phones and mobile devices, plus warning alerts to ensure your e-brake is constantly working. 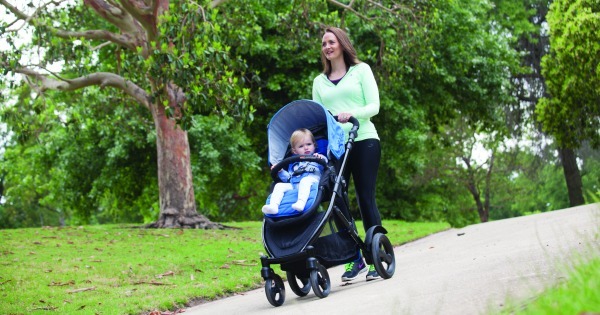 Britax managing director David Jackosn tells us that while all strollers on the Australian market have an adequate braking system, the new e-brake stroller is the first to use e-brake technology. Because, let’s face it, we’ve all accidentally let go of the pram one time or another. The e-brake stroller was four years in the making and has been tested through Britax’s own Quality Evaluation and Standards Testing Centre. Find this brand new stroller, officially revealed for the first time in Melbourne this morning, for $949 at specialty baby stores. 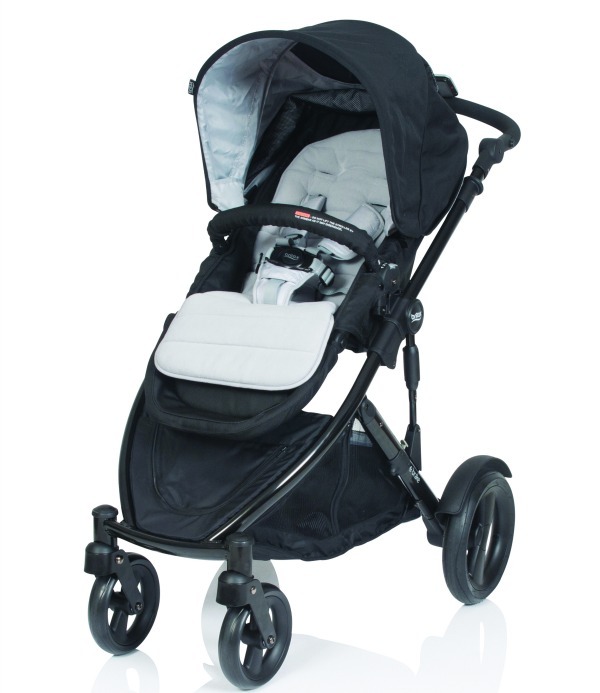 The beautiful stroller comes in cobalt blue or silver and weighs approximately 12 kilograms. Safe, sleek and smart enough to track my calories? Yes please!